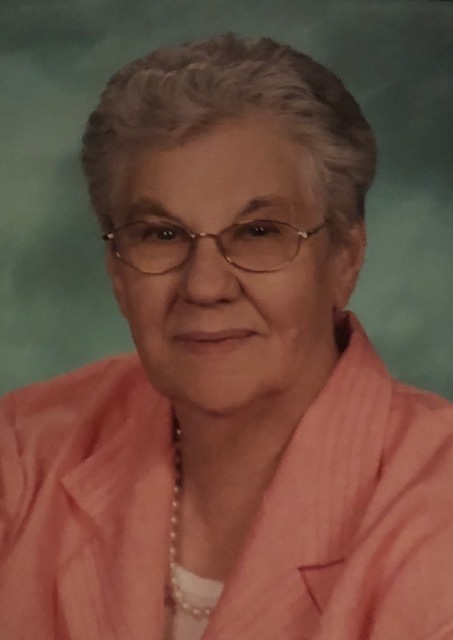 Mary’s Funeral Mass will be held at 12:00 p.m. on Saturday, January 26, 2019 at Sacred Heart Catholic Church in Maquoketa, with an hour visitation prior to her mass. Visitation will be held on Friday, January 25 from 3:00-8:00 p.m. at Sacred Heart Catholic Church, where a Catholic Daughters Rosary will be recited at 2:30 p.m. Burial will be held at Sacred Heart Catholic Cemetery in Maquoketa. Lahey & Dawson Funeral Service is caring for Mary and her family at this time. Mary was born June 7, 1927 on a farm near Sugar Creek Iowa to Peter and Katherine (Banowetz) Reuter. She attended school in Sugar Creek. She married Albert N. Kilburg on September 24, 1947 at St. Joseph Catholic Church in Sugar Creek. She worked on the family farm and helped other relatives on their farms when she was growing up. Upon marriage she took care of the household duties and helped her husband on the family farm. They worked the family farm outside of Bellevue from 1947 to 1976 when they moved to Maquoketa. She liked to sew and make quilts for her family and to embroider, crochet, and cross stitch. She made quilts for all her children, grandchildren and great grandchildren. She liked to play cards and enjoyed dancing and singing with her sisters. She enjoyed traveling and spending time with her family and friends. She was a good hearted easy going person and helped her kids and others whenever she could. She worked on the hospital Auxiliary and belonged to Garden Club, the Legion Auxiliary and Sacred Heart Catholic Daughters. Mary and Albert both volunteered at the Jackson County Historical Museum, she also volunteered at the Welcome Center and the Hospital. She was residing at Crestridge Care Center since August 2013. She has made several quilts since she was there and donated several to Crestridge for fundraisers. Those left to cherish her memories include her four daughters, Elaine (Jerry) Till of Dubuque, Diane Weideman of Maquoketa, Janis (Gary) Waynick of Prairie du Chien, Wisconsin, Carma Kilburg of Maquoketa and four sons, Glen (Donna) Kilburg of Olympia, Washington, Ardo “Art” (Peggy) Kilburg of Fulton, Illinois, Eldon (Sue) Kilburg of Bellevue, Nebraska and Neal (Karen) Kilburg of Davenport, fourteen grandchildren, six step grandchildren, fifteen great grandchildren and fifteen step great grandchildren, her sisters include Theresa Hansen of DeWitt, Catherine (Earl) Kilburg of Preston, Joan (Gene) Gerardy of Bellevue, brothers include Vern (Noami) Reuter of Clinton, Julius of Sugar Creek and Richard of Calamus. She is preceded in death by her husband Albert in 2001, four sisters; Bertha, Laurentia, Dorothy and Elizabeth and three brothers; Wilfred, Michael and Ben and a step great grandson Taylor. In lieu of flowers memorials may be directed to her family in her honor.